[Tokyo] 1879, Funazu. Single Oban sheet size 23 x 35 cm.,. print size 0.5 x 32 cm., very good, strong impression, fine. registry, rebacked on Japanese tissue, small dark spot on. the center column else clean. S C A R C E. THE THREE SAMURAI BATTLE FOR THEIR LIVES In Yoshitoshi's unmistakable action style, this well crafted and superbly composed work shows the three protagonists as they are consumed with a sword fight,one falls to the ground as he is about to be swiftly butchered with a Wakizashi or sword byi Nakatomi. The shock & fear on Oji's face is clear as the last seconds of his life are lost while Nakatomi swings his sword in a life-taking circular motion while displaying an ever so slight smile as he begins to take out his sworn enemy. 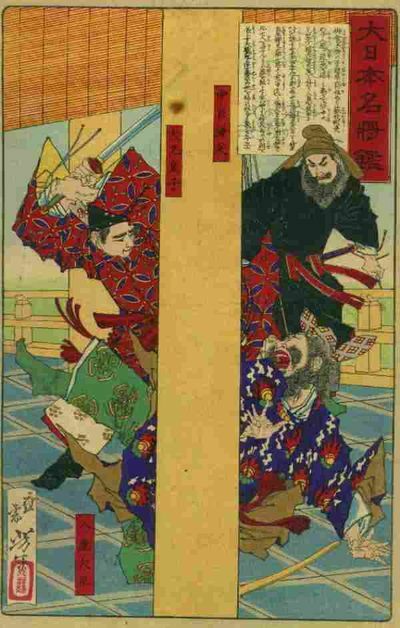 See E.van den Inge et al: BEAUTY & VIOLENCE p. 116 for series details & background on Yoshitoshi. Illus- trated in Divine Dementia as no. 61. This work uses the most difficult technique of "gauffrage" or block printing without the use of color on the lower garment of Nakatomi, done in a subtle pattern. Some of Yoshitoshi's violent Sam- Samurai prints were supressed and some even banned by the Meiji govenment as "too nationalistic." Yoshitoshi was the leader and most talented painter of the period who depicted the Japanese warrior or Budhido spirit. His works reflect a true Japanese military spirit. A color scan can be sent by e-mail. 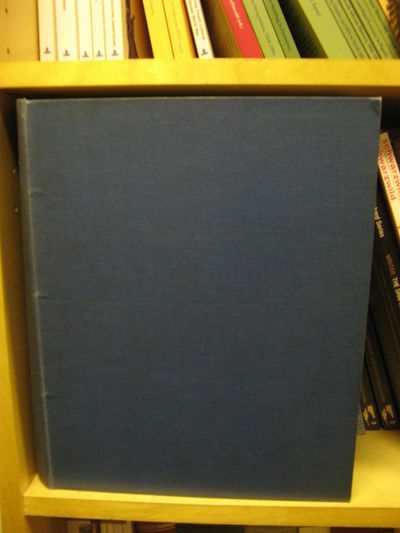 Images displayed may not be the actual copy in stock for sale at any given time; if you want to see the exact image of the book or edition in stock, please request this by email and an image will be returned to you by attachment. * * * * BUY WITH . 1879. Hi, This lot is an 1879 Original Wisden , Rebound without the original covers or the couple of adverts at the rear. The binding is beautiful and the book inside is very clean and well presented, 16th Edition! . Buy-it-now. More Photos on request. - GIRAUD Henri (1879-1949). Général français. Président du Comité Français de Libération nationale, grand rival du général de Gaulle pendant la Seconde Guerre mondiale. Lettre autographe signée, 10 septembre 1942, au général Clément-Grandcourt, 2 pages in-8. « Ce dont je suis sûr, c&#146;est que l&#146;Allemagne ne peut plus gagner la guerre » « Mon Général, je ne saurai vous dire combien j&#146;ai été touché par votre lettre. J&#146;ajoute qu&#146;elle ne m&#146;étonne nullement d&#146;un homme tel que vous. Je vous en remercie très vivement. Jusqu&#146;à présent, je n&#146;ai pas envisagé pareille hypothèse, mais il est certain qu&#146;elle peut se présenter, et, dans ce cas, j&#146;accepte d&#146;enthousiasme votre offre ( ) Ce dont je suis sûr, c&#146;est que l&#146;Allemagne ne peut plus gagner la guerre, et qu&#146;il faut que la France tienne le coup jusqu&#146;à l&#146;échéance inéluctable où elle aura à se décider. Cette heure-là sonnera à partir de 1943, je ne sais pas exactement à quelle date. Le prochain hiver nous apportera quelques lumières à ce sujet. À ce moment-là, tous ceux pensant français auront leur mot à dire et leur rôle à jouer : vous êtes de ceux-là ( ) H. Giraud ». Cette lettre est écrite très peu de temps avant que Henri Giraud quitte la France pour l&#146;Afrique du Nord (7 novembre 1942). Après avoir écarté de Gaulle (conséquence de son échec à la bataille de Dakar en septembre 1940), les forces alliées s&#146;était rapprochées de Giraud afin de fédérer les forces militaires françaises libres. Giraud répondit favorablement aux messages de Roosevelt qui l&#146;invitait à participer à la libération de la France. Malgré son absence lors de l&#146;Opération Torch, Giraud gagna Alger. Il participera à la conférence de Casablanca en 1943 et co-présidera avec de Gaulle le Comité Français de la Libération Nationale avant de s&#146;effacer devant ce dernier qui bénéficiait de meilleurs appuis politiques au sein de la Résistance. San Francisco, 1879. Quarto. Half calf and marbled boards. Stain along inner margin of one portrait (not affecting image), else very clean and neat internally. Very good. A scarce and informative early California county history. The text begins with an extensive history and description of Solano County (located at the north end of San Francisco Bay), including a discussion of its early settlement, natural resources, politics, and civic structure. One chapter is devoted to murders and other trials, and another focuses on Mexican land grants. Several individual towns are profiled, including Benicia, Vallejo, Suisun, and Vacaville, as well as a number of smaller communities. 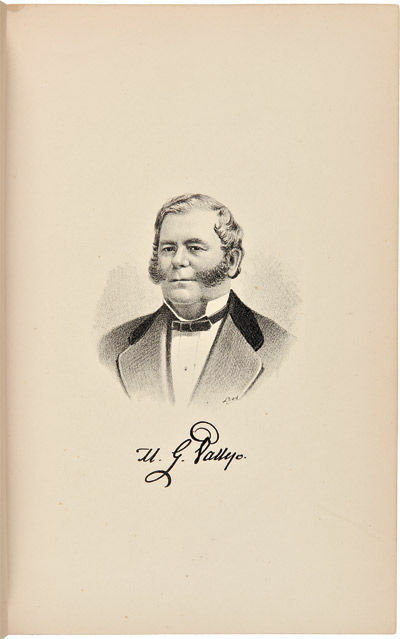 Nearly two hundred pages are devoted to biographical sketches of prominent citizens, twenty of whom are illustrated with portraits. Taylor and Francis, 1879. Hardcover. Good/No Dustjacket. 1879. 380 pages. No dust jacket. Green cloth with gilt lettering. Hinge cracked with noticeable foxing, tanning and handling marks. Dedication to previous owner inserted at front endpaper with intermittent dog-eared corners. Contains B&W illustrations and pull-outs. Noticeable rubbing and scuffing along spine. Noticeable bumping, rubbing and scuffing to spine ends and to corners with noticeable rubbing, scuffing and wear along edges and over surfaces. HISTORIA GENERAL DE ESPAÑA. DESDE TIEMPOS PRIMITIVOS HASTA MUERTE DE FERNANDE VII. MODESTO LAFUENTE. 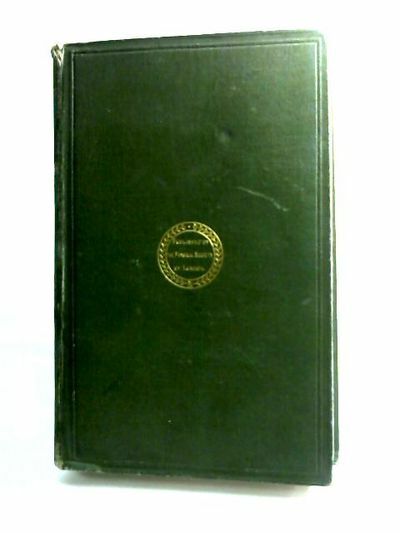 London: Longmans, Green, and Co.,, 1879. Edited by his Sister Lady Trevelyan. 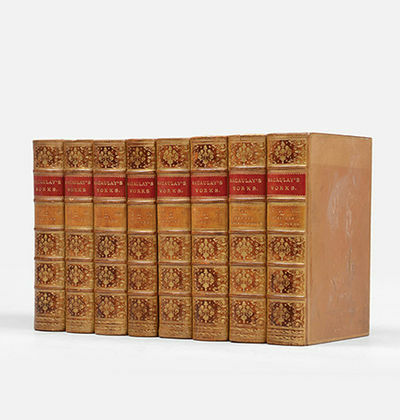 8 volumes, octavo (220 x 145 mm). 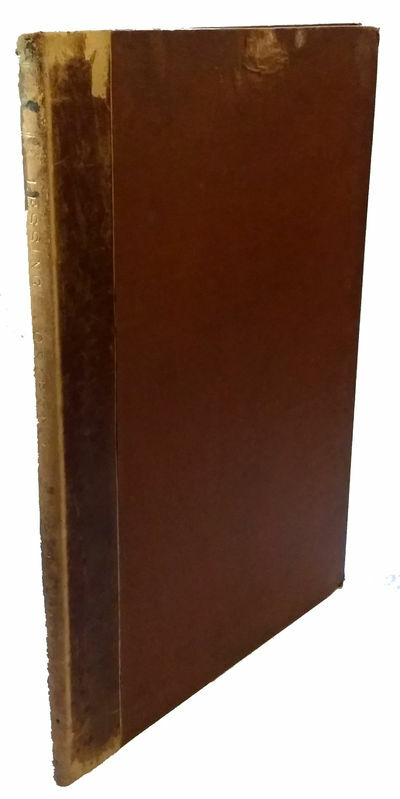 Contemporary tan full calf, twin red and tan morocco labels, narrow bands with dotted roll, compartments richly gilt with urn centre-tool, double fillet border with floral cornerpieces gilt to boards, gilt turn-ins, all edges and endpapers marbled. Volume 1 with steel-engraved portrait frontispiece. Spines lightly darkened, front board of Volume 8 partially sunned and slightly scuffed. An excellent set. First edition. An attractively bound set. La Renaissance en France. Dessins et gravures sous la direction de Eugène Sadoux. I - III. London: The Zoological Society of London, 1879. Hardcover. No jacket. Ex-university library. From Birbeck College, London and Museum of Science and Art, Edinburgh. Contains parts one to five of volume ten, 1877 to 1878, in library binding. Contains black & white and colour illustrations. Boards and spine are marked and scored. Leading corners, edges and spine ends are bumped and worn. Page block and pages are tanned, marked and creased. Taped tears on several pages. Embossed and ink stamps on early pages and reverse sides of illustration plates. Pen on title page. Label on BEP. Contents are clear throughout. Binding is sound. HCW. hardcover. Acceptable/No Dust Jacket. Ex-Library. London: The Zoological Society of London, 1879. Hardcover. No jacket. Ex-university library. From Birbeck College, London and Museum of Science and Art, Edinburgh. Contains parts six to thirteen of volume ten, 1878 to 1879, in library binding. Contains black & white and colour illustrations. Boards and spine are marked and scored. Leading corners, edges and spine ends are bumped and worn. Page block and pages are tanned, marked and creased. Embossed and ink stamps on early pages and reverse sides of illustration plates. Label on BEP. Contents are clear throughout. Binding is sound. HCW. hardcover. Acceptable/No Dust Jacket. Ex-Library. Bilderbuch für kleine Mädchen, welche gern mit Puppen spielen. Der grüne Heinrich. Neue Ausgabe in vier Bänden. 4 Bände in 2 Büchern. Roman. Washington & London, 1879. Light soiling, but overall very neat, clean, and readable. Near fine. 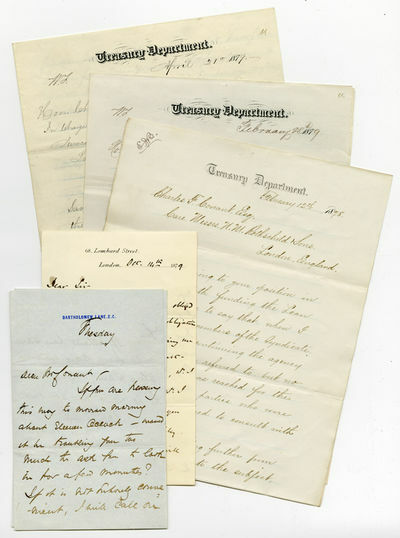 An interesting group of letters to Charles Conant, the American Treasury Department official in London charged with overseeing the sale of American bonds in the European financial markets, thereby reducing the debt incurred during the Civil War. The national debt skyrocketed during the Civil War and Reconstruction, from about $78 million in 1861 to $2.5 billion in 1871. To alleviate some of the debt the Treasury Department decided to actively sell American bonds in Europe, using the assistance of the Rothschild Bank in London and several prominent New York bankers (including J.P. Morgan), referred to in these letters as "The Syndicate." The centerpiece of this small collection is a group of four manuscript letters (the text written in a secretarial hand) signed by U.S. Treasury Secretary John Sherman to Charles Conant, his agent in London for "refunding the National Debt." Conant (1835-86) was appointed to the Treasury Department in 1865 and rose through the civil service ranks. Beginning in 1870 he was chief of the warrants division, and responsible for completing the monthly debt statement of the United States, and by 1874 he was Assistant Secretary of the Treasury. In 1877, Treasury Secretary John Sherman named Conant the department's funding agent, and placed him in charge of the financial transactions of the government in London in relation to refunding the national debt. Conant spent more than two years in London, overseeing the sale of U.S. bonds in the European financial market, working closely with the Rothschild Bank (one of the envelopes is addressed to Conant c/o N.M. Rothschild & Son). In these letters Sherman writes Conant regarding several aspects of his work. In the earliest letter, dated Feb. 12, 1878, Sherman informs Conant: "...the relation of the Syndicate, as an association, will terminate with this Department in accordance with a personal understanding had after the contract was annulled. If no bonds shall be sold in Europe, of course I shall not be justified in incurring any expense there on account of the Loan, and it will be well for you to make provision for closing your business, unless you are cognizant of some plan or arrangement for continuing the business of funding abroad, of which, I am not advised." Apparently the Treasury Department's agreement with The Syndicate was renewed, as the next letter from Sherman, dated a year later, on Feb. 15, 1879, describes a vigorous selling operation: "The rapid sales of bonds in this country tend to make me solicitous to promote sales in Europe to avoid anything like a drain of coin here in April, May and June. I therefore thought it best to allow the Syndicate to deposit with you any called bonds as collateral, but payment for the four per cent must in every case be made within the ninety days the interest to be adjusted here. Please say to the Messrs. Rothschild that it is desirable to have all called bonds as soon as received by them, and they will be credited with interest to the maturity of the call." A letter from Sherman to Conant of Feb. 28, 1879 describes some of the nuts and bolts of their dealings. Sherman writes (in part): "I transmit to you to-day...ten million dollars ($10,000,000)...for delivery to the contracting parties as required and paid for by them. The bonds are contained in four (4) iron safes, which are addressed to the Hon. John Welch, U.S. Minister London." The final letter from Sherman is dated April 21, 1879, and he informs Conant that a large number of bonds belonging to the Manhattan Savings Institution have been stolen, and instructs Conant of the specific bonds that he should decline to receive, totaling some $42,000. The final three letters to Conant are of a more less official nature and are from a variety of correspondents, including one from John Biddulph Martin, who would later marry the famed feminist, Victoria Woodhull. Martin asks Conant if he can give him "the totals of the U.S. interest-bearing debt from 1860-78, which I do not find in any work which I have consulted, but which you may be able to refer to readily." An interesting group of letters shedding light on a little-known aspect of post-Civil War American debt financing. Eucalyptographia. A descriptive Atlas of the Eucalypts of Australia and the adjoining islands. First [to] seventh decade. (7 Teile von 10). Karte des Rhein-Stroms im Koenigreich Preussen von Mainz bis unterhalb Bimmen in 19 Sectionen. Hg. von dem Königlich Preussischen Ministerium für Handel, Gewerbe und öffentliche Arbeiten nach dem Zustande des Stroms im Jahre 1872. Innentitel abweichend: Karte ueber den Lauf des Rheinstroms im Königreich Preussen von Mainz bis unterhalb Bimmen im Maasstabe von 1/20 000 der natürlichen Grösse. Nach dem Zustande des Stromes in dem Jahre 1872. Auf dem Titelbild der Uebersichts Plan der 19 Sectionen nach dem Maasstabe 1/300 000 der natürlichen Größe. Cplt. in 19 farbigen lithographierten Karten und dem Titelblatt. Das Königreich Bayern. Seine Denkwürdigkeiten und Schönheiten. CHROMOLITHOGRAPHS) Feliu y Codina, D. José. Las Hadas del Mar. Cuentos de Mágia. Tomo I and II (Volume I and II). Barcelona. Celestino Verdaguer. 1879. TWO VOLUMES. 61 chromolithographic plates with tissue guards, all edges gilt, 480pp 478pp, index at rear of each volume, 11 1/4 x 8 inches, decorative embossed red cloth covered boards with decorative gilt spine (hardbound). Covers lightly soiled; some tissue guards badly torn, tissue adhering to some plates, foxing to first and last few pages of each volume and sporadically through the text, scattered foxing to plates (mainly outside image area of the plates) but the plates are rich and bright. Still overall in very good condition. Stories of sea fairies and tales of magic written by José Feliu y Codina with beautiful and richly colored chromolithographic illustrations by Mr. J. Simon. Feliú y Codina was a playwright known for naturalistic regional dramas as well as for authoring opera librettos. His early works were in Catalan but his reputation was made with dramas and other literary works written in Spanish. Text in Spanish. REDUCED FROM $1250. W.S. Atkinson. Rhopalocera by Hewitson (&) Heterocera by Moore. With an introduction by A. Grote. Calcutta, Asiatic Society of Bengal, 1879-1888. 3 parts (bound in2). Large-4to. pp. xi, (1), 299, (1), with 8 lithographed plates. Recent cloth and contemporary half cloth. Nissen ZBI, 2878. Scarce publication, of which the larger part treats the Rhopalocera. Trachten, Kunstwerke und Gerathschaften vom Fruhen Mittelalter bis Ende des Achtzehnten Jahrhunderts nach Gleichzeitigen Originalen. New York, 1879. Bound into original brown cloth boards, stamped in blind and gilt. Slight wear at spine ends. Very good. Not in Rumsey. Milwaukee, 1879. Backed with modern linen, trimmed in maroon cloth, and on contemporary rollers. Three small age spots in western part of state, faint streaking in margin areas. A lovely map, brightly colored, in very good condition. An attractive and boldly colored wall map of Wisconsin. The counties are each delineated and individually colored, though the northernmost part of the state is still made up of a few very large regions, and does not exactly resemble the current configuration of counties. Several Indian reservations are shown, including those of the Menominee and Oneida, and the many railroad lines in the state are identified. 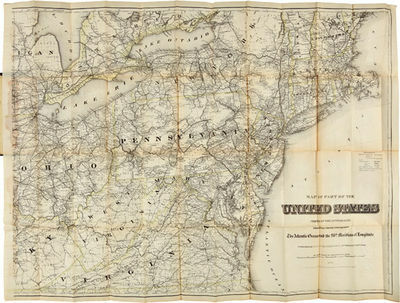 Silas Chapman produced several maps of the Midwest from the 1850s through the 1870s, including pocket and wall maps of Minnesota, Iowa, and Wisconsin. 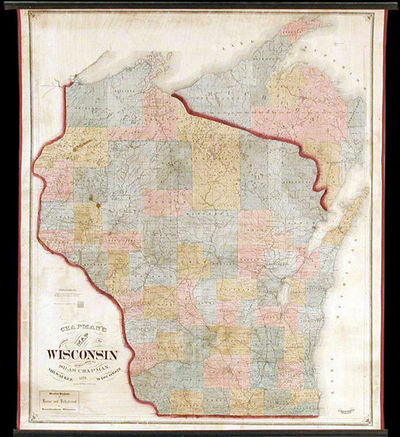 This map is not in Rumsey; Phillips' MAPS; CHECKLIST OF PRINTED MAPS OF THE MIDDLE WEST TO 1900: WISCONSIN; nor on OCLC. Rare. Nederlandsche Flora en Pomona, beschreven en uitgegeven door het Bestuur der Pomologische Vereeniging te Boskoop. Met platen naar de natuur geteekend door A.J. Wendel. Müller, Otto, Schriftsteller und Journalist (1816-1894). Stuttgart, 18. VII. 1879. - 1 S. Qu.-8vo. "Schwäbischer Bauernspruch / Der Mensch sollte drei Dinge in seinem Leben zweimal thun können, dann würde er sie das Zweitemal besser machen: nämlich zweimal bauen, zweimal weiben, zweimal sterben [ ]". - Müller leitete seit 1843 die Redaktion des "Frankfurter Conversationsblatts", bis er 1848 zur Redaktion des "Mannheimer Journals" übertrat. Nach einem längeren Aufenthalt in Bremen seit 1854 wieder in Frankfurt/Main ansässig, übernahm Müller die Leitung der Romanzeitschrift "Deutsche Bibliothek" und beteiligte sich an der Gründung der Wochenschrift "Frankfurter Museum". Seit 1856 lebte er als freier Schriftsteller in Stuttgart. Über Krystallinischen Hagel im unteren Kaukasus in seiner Beziehung zu der Physik des Bodens. London: Henry Sotheran. Good; 20 x 14 Hardback in Good condition. Quarter-leather binding shows . rubbing to spine. Foxing throughout. Plates clean and bright.. 1879. Hardcover. Illustrated by 30 color plates; GWO 733. First English language book on Oriental carpets. Essentially a design book with patterns from rugs. 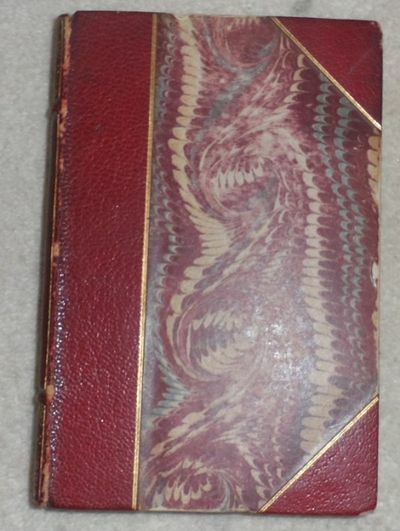 ; 9.5; 86 pp. .
A STUNNINGLY BEAUTIFUL COLOR WOODBLOCK PRINTED BOOK ! [Tokyo 1879, - Kobayashi]. Yellow stitched wrs., very good,18 x 22.5 cm.,  double-folded leaves  pages in all,25 double-page color woodblock printed illustrations, veryclean, a bit of transfer on some, else clean, solid binding. Color scans available for this book on request. Description content 2015Copyright Rare Oriental Books Co.
Paris: Quantin - 1885 1879 - Rote Halbledereinbände d. Zt. m. schwarzem Rückenschild. Groß-Folio 44 x 32,5 cm, I) 3 Bll., 234 S., II) 3 Bll., 324 S., 2 Bll; III) 2 Bll., 316 S., 3 Bände, Band 1): Flandre, Artois, Picardie, Ile-de-France (Aisne et Seine-et-Marne).mit 19 ganzseitigen Radierungen, davon 2 doppelblattgroß, sowie im Text 60 Radierungen und 9 Holzstiche - Band 2) Île-de-France (Seine-et-Oise), Paris, Normandie mit 25 gansseitigen radierten Tafeln, davon 2 doppelblattgroß, sowie 56 radierte Textillustrationen und 22 Holzstiche. - Band 3) Bretagne, Maine, Anjou, Poitou, Angoumois, Aunis et Saintonge, mit 22 radierten Tafeln, sowie 46 radierten Textillustrationen und 55 Holzstichillustrationen. - Vollständiges Exemplar. - Einbandecken u. -kanten berieben. Am Rücken von Band 3 eine ca. 1 x 1 cm große Fehlstelle. Insgesamt noch ein sehr gutes Exemplar. CHINA AND JAPAN: A Record of Observations Made During A Residence of Several Years in China, and a Tour of Official Visitation to the Missions of Both Countires in 1877-78. Cincinnati  - , Walden. Decorated brown cloth, very good,3 maps, 57 b.w. illustrations, 548p. S C A R C E Color scans available for this book on request. Description content 2015Copyright Rare Oriental Books Co.